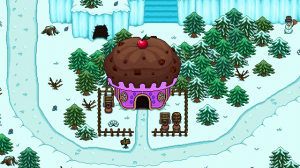 Weekly Recap #66: Sweet house, dude! The past week the Winterland has kept on growing and it’s really starting to take shape! We mentioned interesting landmarks and whatnot in the last post, so here is one more of those! We won’t go too deep about what juicy secrets are hiding inside this delicious structure, let’s just say that will get some fierce competition on the sweets market! Weekly Recap #65: Winter keeps coming! This week, the Winterland has kept getting attention and kept growing. We have tried our best to make sure that there are lots of interesting landmarks and quests to be found through out the area, even more so then in the Halloween Forest. Without spoiling too much, here’s a screen of a somewhat recognizable sled! Fred is still focusing on the first temple, this week mainly containing of cleaning up enemy animations. In other news, Teddy and Fred have finally found an apartment to set up base in. We’ll dig more into detail about it when the big moving date arrives, but in short it will make problem solving and fine tuning much easier as well as increasing our work pace! 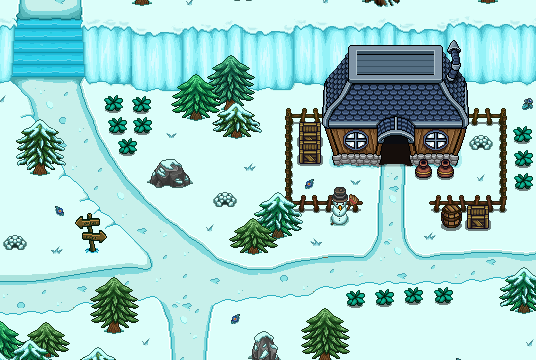 Being more or less done with the backdrops and decorations for the temple, Vilya has gone into snowstorm overdrive to finalize the look of our winter region! We’re really pleased with both the look and the layout of the areas, and we’re confident that we can fill them with some pretty interesting content. 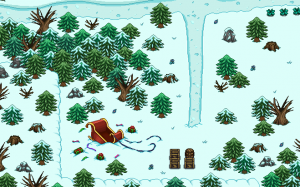 Players will be able to reach the winterland after completing the first dungeon. Meanwhile, Fred is making some finishing touches on the dungeon polish by creating unique death animations for most of the enemies! Next week will follow in the same snowy footprints, don’t forget your hats! Weekly Recap #63: It’s all in the details..! …and here it is after! In this room we planned to block the way up the stairs to a key until you solve a puzzle using the machine to the right. However, as we thought about it we realized it would probably be cooler if solving the puzzle itself was enough to unlock the door. Therefore we made the room smaller before redecorating it to look a bit more interesting. We’re really excited about how the dungeon is coming together, and we hope you guys will like it as well. 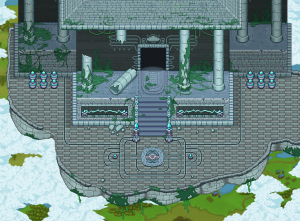 As we’re writing this we’re also well on our way of refining a specific part of the dungeon where we plan on recording that video we talked about in the previous post. Hopefully we’ll be able to include it in one of the coming recaps!